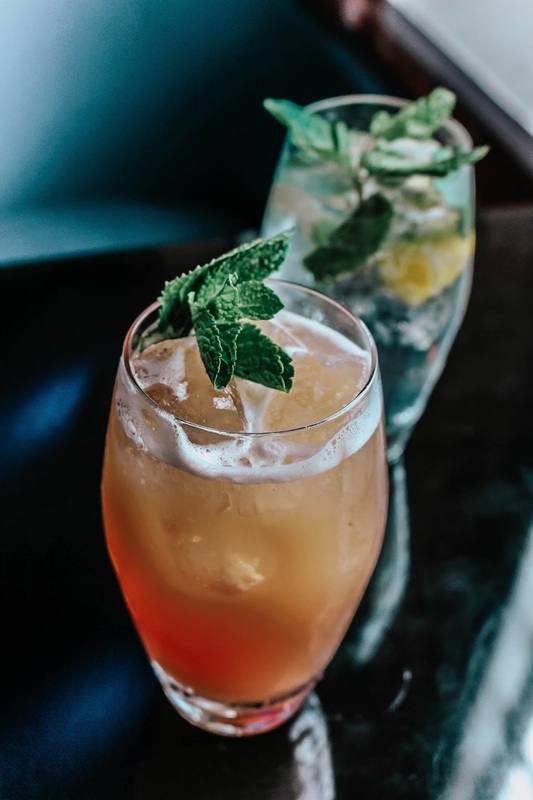 If you're a longterm reader of A Glass Of Ice, you'll know I'm not much of a drinker besides to mark special occasions and general moments of celebration. 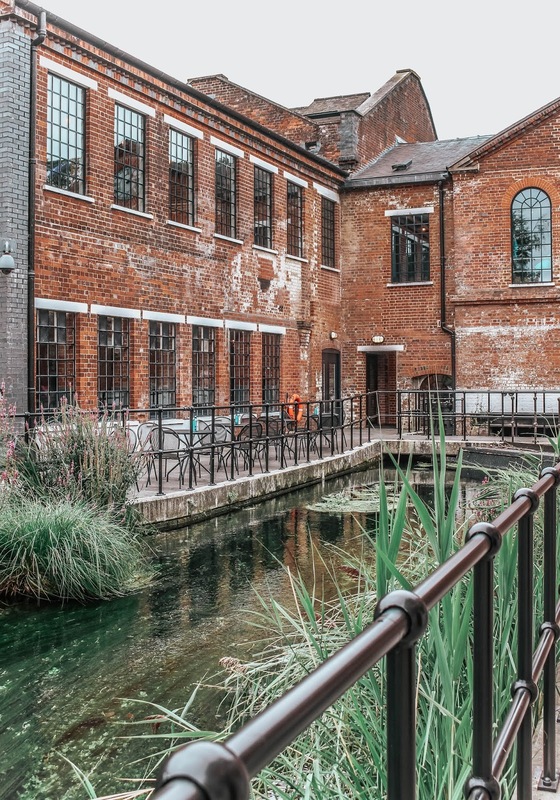 However, I'll make the exception for the Bombay Sapphire Distillery. 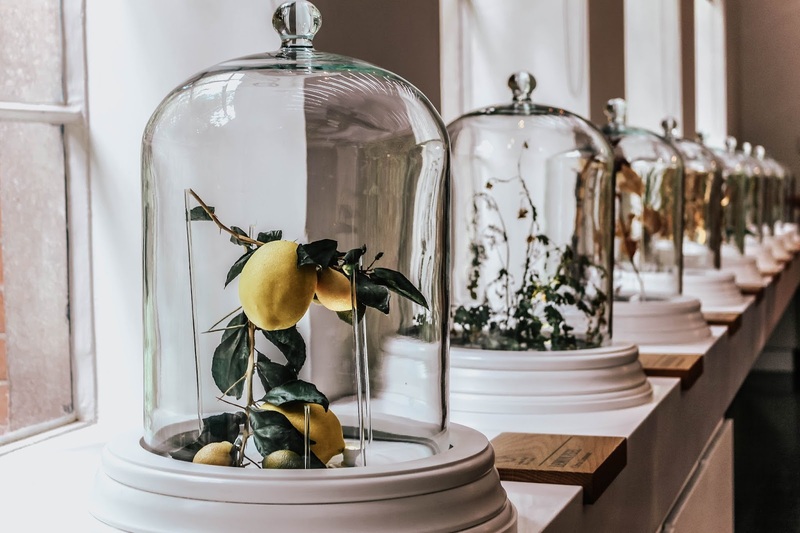 Nestled in Hampshire within Laverstoke Mill, the distillery showcases the 'care, skill and artistry' behind the world-famous brand of Bombay Sapphire Gin. But before we get into the history of the brand (and believe me, it's pretty fascinating), I'll come clean about just why I made the journey there to sample their Tour and Tasting day experience. 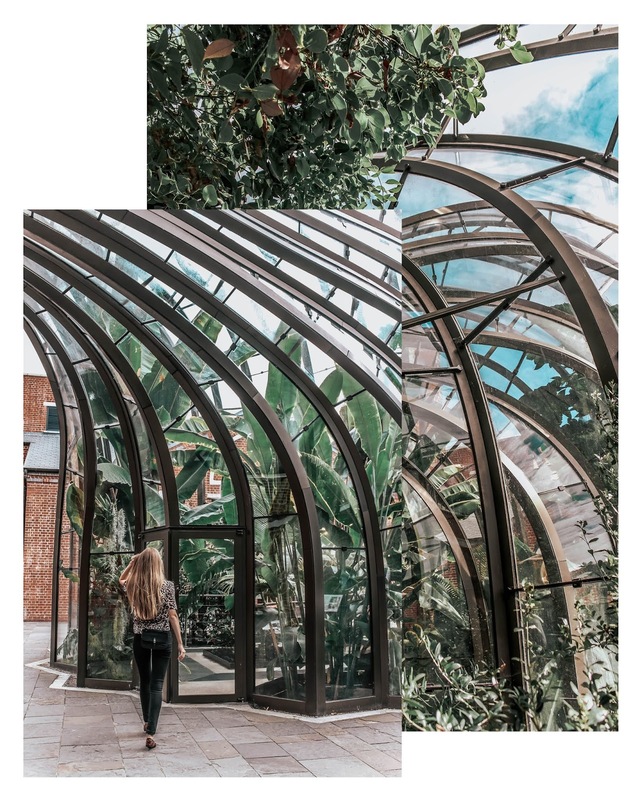 The glasshouses. I know, I know... but the obsession is still very much there and it's grown stronger than ever before thanks to seeing this elegant twin structure first hand. Ugh, be still my beating heart. Not one but two glasshouses? Yes pleaaaase. 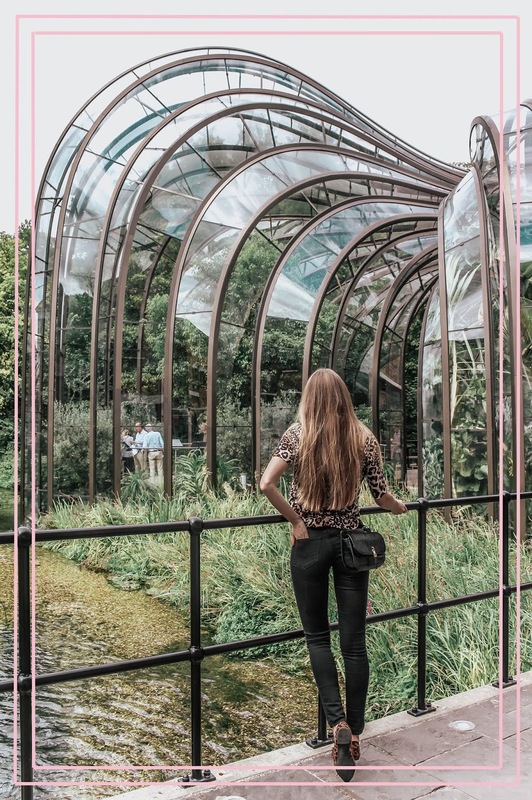 The twin glasshouses sit at the heart of the two hour self-guided tour, and grow examples of the ten botanical ingredients found in Bombay Sapphire's gin. 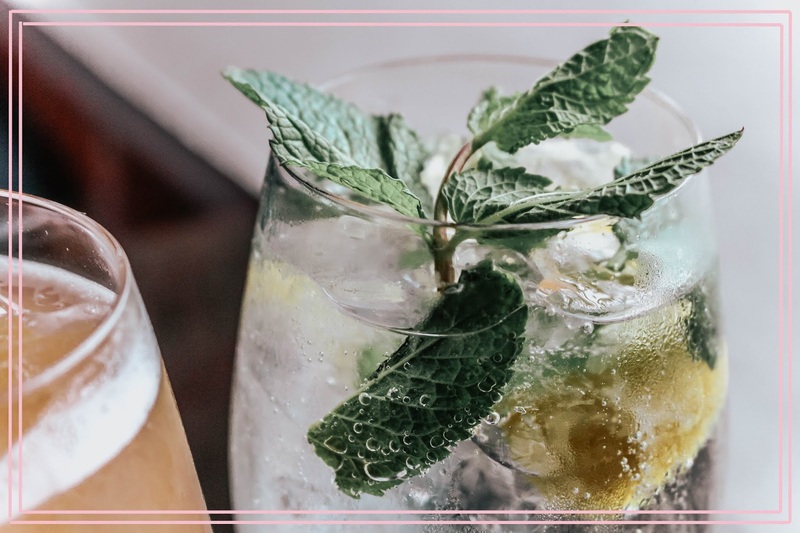 Interestingly, they haven't changed the way in which they make their gin since 1987, a gin recipe crafted by in 1761 by Thomas Dakin. Just... don't bother asking for the intricacies because their exact recipe for the 'world'd best gin' is a very closely guarded secret! Ooh. Photography isn't allowed around the distillation equipment for health and safety reasons. Although having said that, I can't say whipping out my camera had crossed my mind throughout this guided part of the tour anyway; the mass of information is fascinating. Also, you will laugh. A lot. Alright, onto my favourite part of the two-hour experience (uh, besides oggling the glasshouses) - creating a personalised gin! A bright and airy room at Laverstoke Mill is home to a room full of ingredients. Lifting each lid, a strong scent is revealed and with each one being very different from the next. Using a hole punch, you mark your fave scents (ie. the ones that don't make your eyes water in disgust) on your gin card and hand it in at the end of the two hour self-guided tour. And then, ladies and gents... the mixologists create the 'perfect' gin for you! Ta-dah! I really love the self-guided structure of the tour - albeit with Bombay Sapphire tour guides stepping in when necessary to talk each group through particular points of interest. This allows you to absorb the facts and figures at your own pace, and also duck out every few moments to take a photo or two! So, there we have it. The ultimate day out at a distillery via someone who doesn't really drink very often! Now you've seen it all. I'd love to hear your thoughts on this kind of experience; have you ever visited a distillery before? Let me know in the comments below! Oh very amazing photos, great place. I love glass houses too, and these two looks great. I'd love to visit this distillery. I don't consume any kind of alcohol for health reasons, but it still seems like an interesting place to visit. Cute outfit! Seems like you had a nice time there. 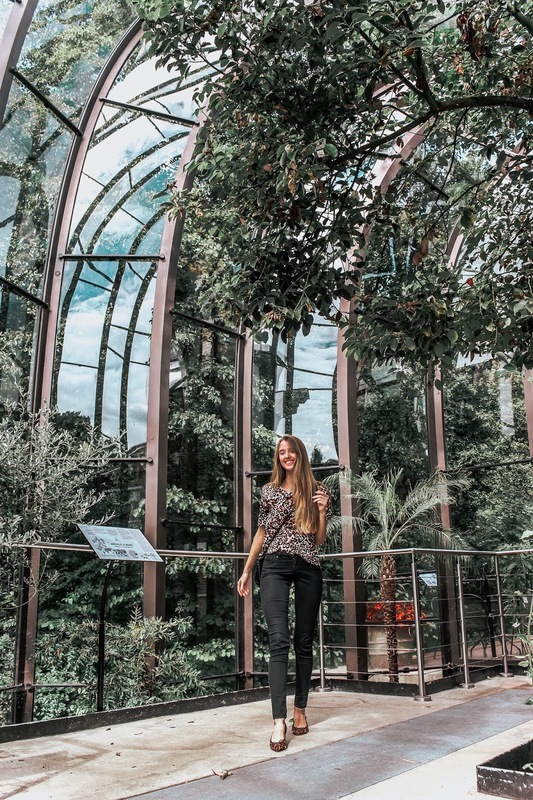 Oh wow what stunning glasshouses! Sounds like such a fun tour too, even though I don't drink Gin. I like your casual outfit, the printed tee is so cute with your jeans! Love the shots, dear! Come join our latest Giveaway to Win Tiffany, Swarovski & Coach Accessories! Open to All Worldwide! OMG this is sooo beautiful, your pics are insane babe ! I am not much of a drinker either, but even I have heard of Bombay Sapphire Gin. I'm also not much of a drinker but I also wouldn't pas up the chance to visit a distillery. Lucky you Gabrielle! That glasshouse is spectacular and even though photos weren't allowed, I'm willing to bet the tour was fascinating! Have a fab new week lovely! 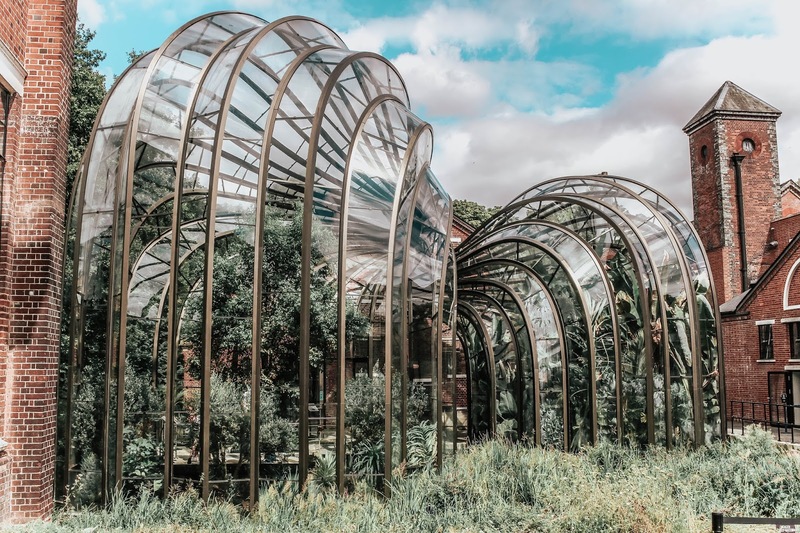 What a beautiful distillery Bombay Sapphire has, I know how much you love glasshouses and being at this location must have been quite the experience, absolutely gorgeous! I have a mini sample of Bombay Sapphire sitting because it looked pretty and blue in my kitchen and haven't touched it, think their brand in terms of packaging is beautiful. The thought process and general creation of product process must be incredibly interesting to watch, I've always had a thing about factories and processes and keen to view a distillery or food production of a favourite brand (chocolate) if I can sometime. 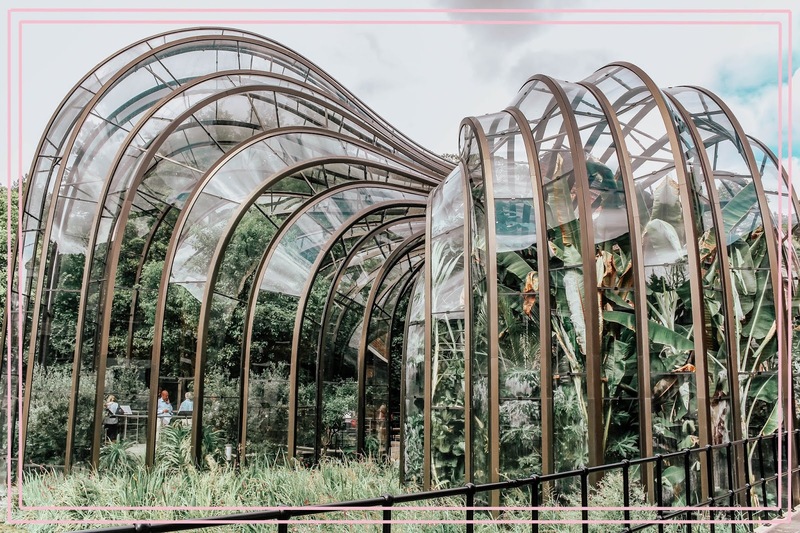 I've only visited beer breweries before, but none of them looked as stunning as this one, I love the architecture of the glasshouse! I rarely drink liquor but I'll make an exception for this beautiful place! No, no, no, no, no....a big fat no to gin. Mind you I used to love gin and then I overdid it once and suffered the worst hangover of my life and I can't even stomach the smell of gin until today. LOL! Such a gorgeous place, it looks so tranquil and peaceful! I'm fascinated by the architecture, though. Thanks for sharing about this amazing place. Oh wow the architecture is amazing and the cocktails look so delicious!! Looooooooove how you edit yout photos babe well done!!! I also don't drink very much but gin is something I find hard to turn down! What a cool place though, it sounds and looks so fun! 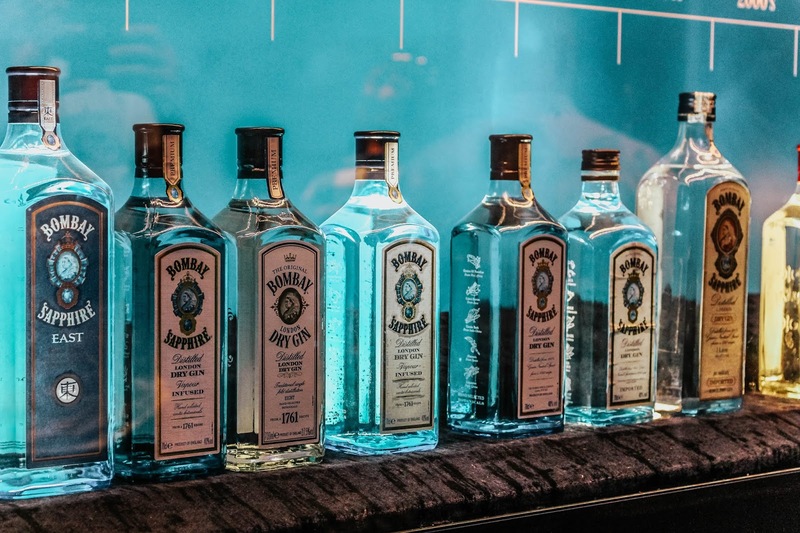 I have never visited a distillery but the bombay sapphire one looks beautiful. So fascinating! I enjoy tours like these as well... there is such an art to it. The cocktail also looks delicious! Your blog is amazing!! Great pictures! What splendid images. Although, I don't drink gin, I do make cocktails for friends during our dinner parties and the sound of a personalised one is tempting. 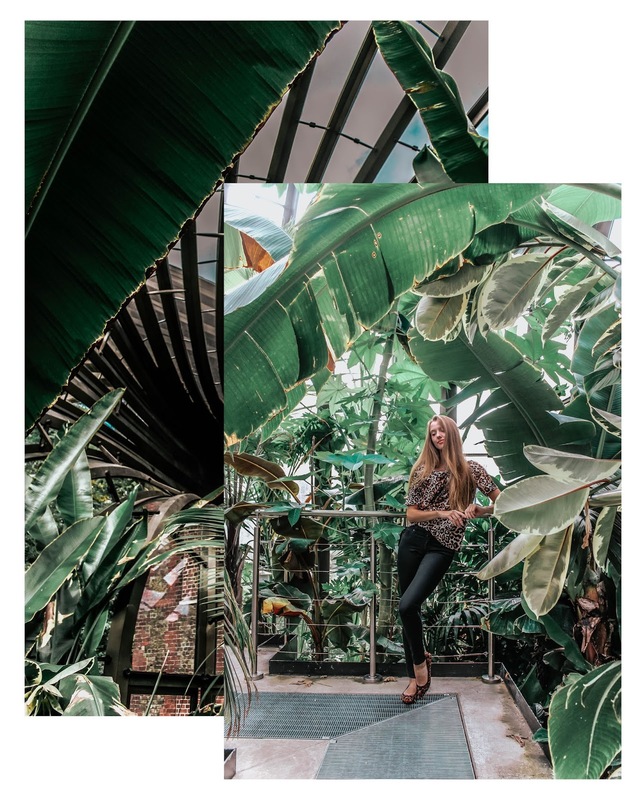 The glasshouses are wonderful, I'm sure I'd be entirely fascinated with the info. I've not been to a distillery in a long time. 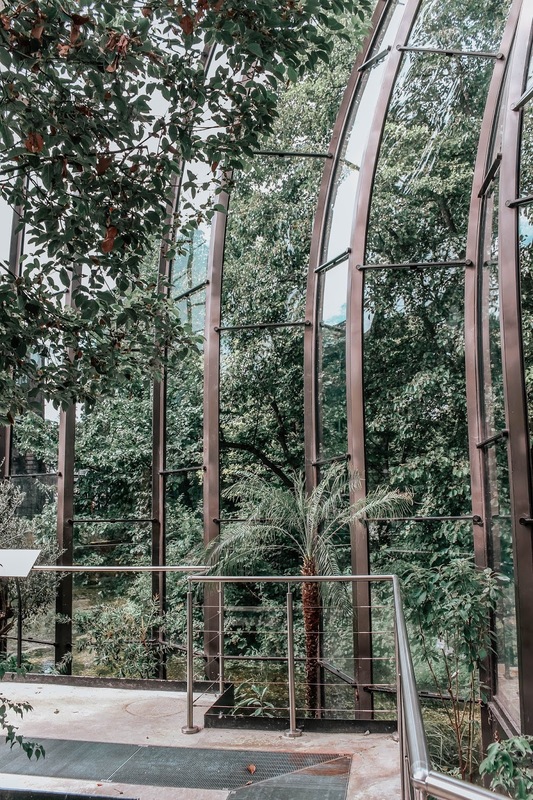 These glasshouses are so beautiful, modern and amazing. I was so fascinated because I didn't know what is inside until I dind't start read your post. It is funny that I have one bottle of Bombay gin in house, I get it like gift but I never before try it. Now I'm going look different at it, because thanks to you now I know how looks distillery where they produce it. What a gorgeous place. The glasshouse looks like a set from a fantasy/sci-fi movie, fantastic! Wow that looks like a really cool place to visit! I love the outfit too! I love gin, I probably shouldn't admit that bit I really do and those glass houses are stunning aren't they? Looks like a great trip. Oh wow! Glass AND greenery: such a great combination! :) The pics are so impressive, I cannot even fathom how impressive it must have been in person.